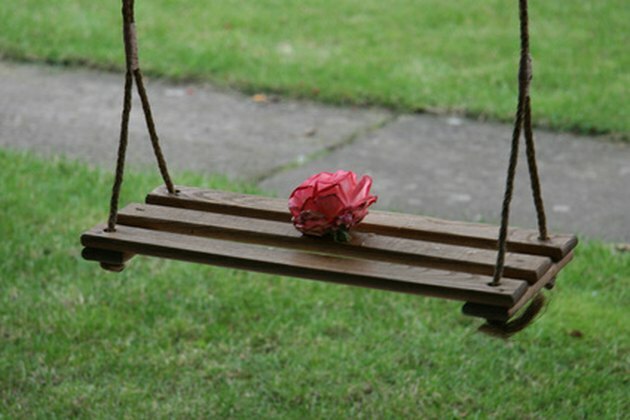 Porch swings invite you to linger and savor the gentle swinging motion as you sway in the breeze. Usually made of wood, a porch swing may be built to hold up to three people. 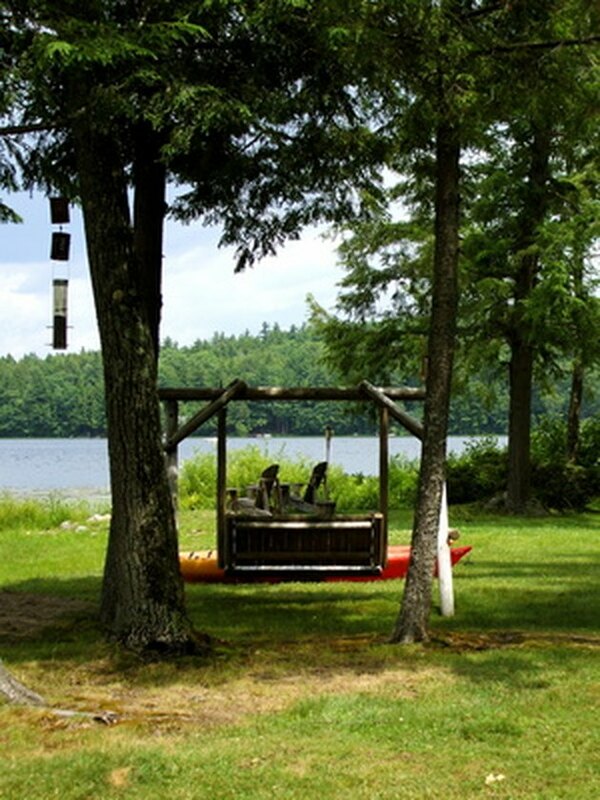 A porch swing might hang from a chain or rope mounted on a frame made just for the swing. It is also possible for a porch swing to hang from large eye screws attached to a ceiling beam. In some instances, even a sturdy tree branch can handle a swing. Nothing, however, destroys the tranquility of enjoying a swing more than a squeak. Try a couple of different things to get rid of porch swing squeaks yourself. Inspect all swing parts to make certain that everything is working properly. Check to see if any bolts, screws or hooks are loose. Look under the swing as well. Inspect the chain or rope holding the swing. If a loose bolt is found, tighten it just to the point where it stops turning. 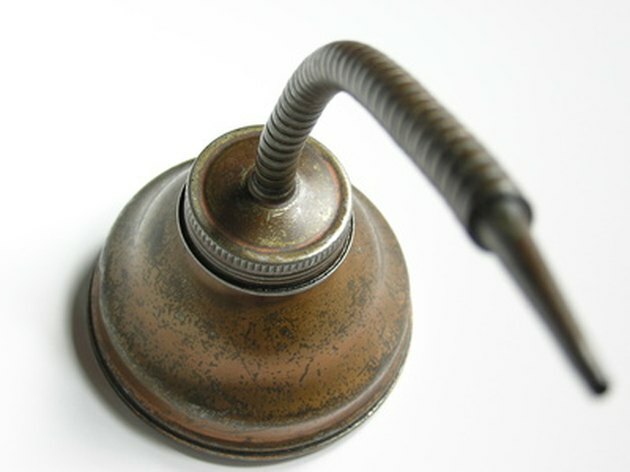 Do not overtighten bolts because, ironically, an overly tight bolt can cause squeaking. Spray all bolts and screws with a lubricant by holding the spray lubricant about 6 inches from the hardware. Spray the bolts two times each. Move the swing back and forth to work the lubricant deep into the hardware. If there are any springs on the swing, spray them as well. Try liquid graphite if spray lubricant does not work. 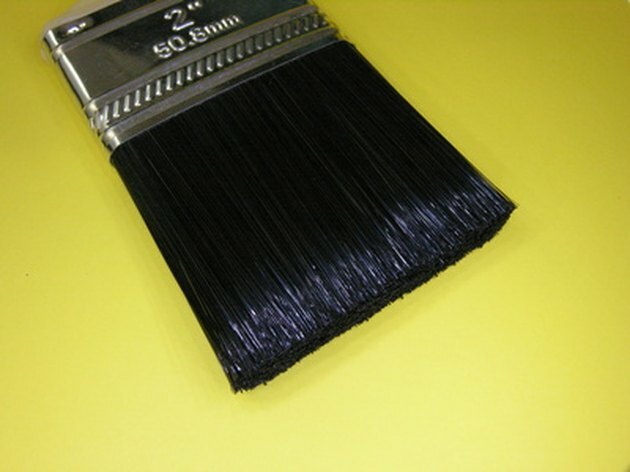 Liquid graphite comes in small tubes at auto part or home improvement stores. Be aware that graphite is messy and that a tiny bit goes a long way. 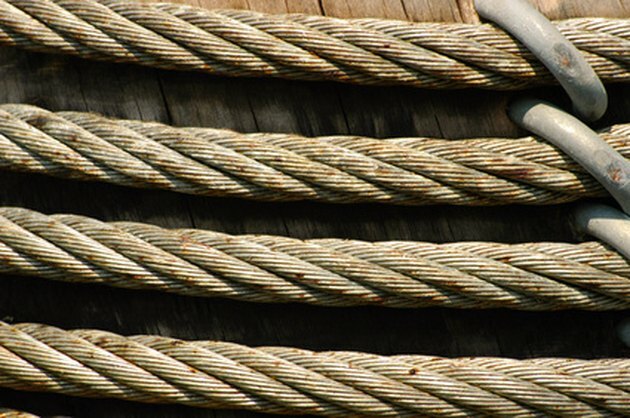 Rope against wood makes an annoying rubbing sound that can reach squeaking levels. If the porch swing has this problem, it is usually caused by the wood being rubbed smooth. Try untying the rope and moving it to a new location. For example, if hanging from a tree or wood post, simply move the swing over a few inches to where the wood is not worn yet. If this is not possible, add a length of dense foam between the wood and the rope before retying. Wood slats on the seating area and back part of the swing can also cause squeaking. Apply two or three coats of waterproof polyurethane to all wood areas. (Allow time between coats for drying.) Wood with a protective coating is less likely to squeak. Stain or paint the swing if desired before applying polyurethane. Get the paint and polyurethane into all crevices as deeply as possible.